since she was 9 years old. At first, her job was to dig holes and plant young rubber trees. But as she grew older, the work became more challenging and dangerous. Mercy was tasked with cleaning the collection cups used to harvest latex. This involved filling the cups with acid to remove excess latex. The strong, unpleasant smell of the acid was irritating and affected her health. Mercy’s duty eventually became even more labor-intensive; she carried heavy latex and solid rubber materials in buckets and bags on her head. At times, latex wastewater would drip onto her face and get into her eyes, nose and mouth. 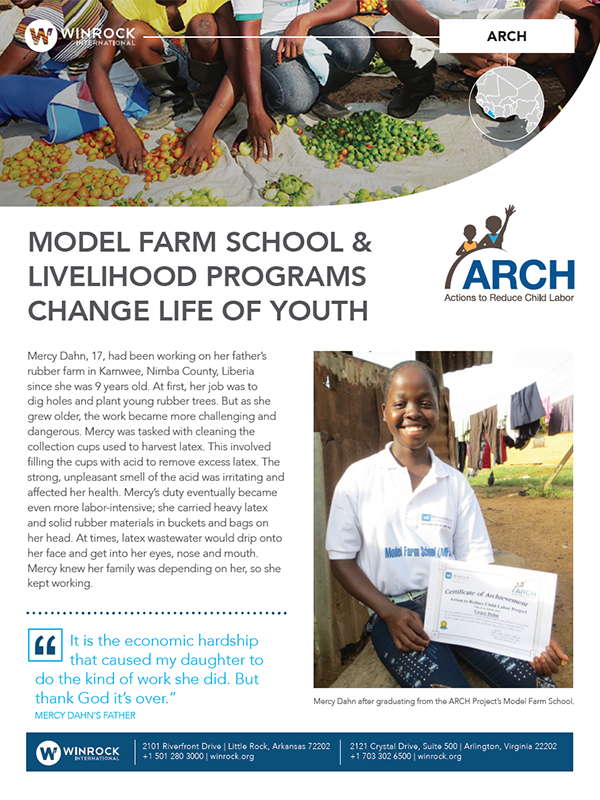 Mercy knew her family was depending on her, so she kept working.